If you’re looking for a Windows laptop, you might be left scratching your head at the number of options, both on the high street and online. Big or small, detachable screens, dedicated graphics cards, Ram, and 4K screens are all up for consideration. We’ve broken down the laptop market by budget, specification and design to make it easier to find the right Windows laptop. Which is the Best Windows Laptop? Verdict: Should I Buy a Windows Laptop? Windows laptops – there sure are a lot of them. While Apple’s MacBook range consists of four core models, the spectrum of Windows laptops is near endless. From cheap models with just enough processing power to deal with your Twitter updates, to giant gaming rigs that can play the latest releases in stunning 4K, there’s a lot to choose from. Ultimately though, the best Windows laptop is the best one for your needs. While the bleeding edge models might be appealing, they may not be the best fit for you. In this guide, we’ll look at the types of laptops available, talk you through the specifications, and suggest some models that will suit your needs. Buying a laptop needn’t be an expensive business. Laptop prices have come down considerably in the last decade for entry-level models, thanks to the lowering cost of their core components. If you’re wondering whether you should buy a cheap Windows laptop, consider how you spend most of your screen time. If you’re mainly browsing, emailing, and binging Netflix, then a cheap laptop is a good choice, as your activities don’t require a huge amount of muscle. This means that you can get away with a cheaper processor, such as an Intel Celeron or Pentium, which brings down the cost considerably. Another area where manufacturers make savings is storage. Some cheaper laptops use eMMC, a cheap flash memory solution that’s more commonly found in phones. This can be as little as 32GB, which when the Windows operating system is taken into account, doesn’t leave you much room. Look for models that will accept SD or microSD cards as a cheap way to bolster your storage. One key factor when purchasing a cheap laptop is to stick with known brands. You might spot some bargain offers from manufacturers you’ve never heard of, but we’d recommend avoiding these, as they tend to be overseas companies with little support structure in the US if things go wrong. There’s also no real need to seek then out, with well established companies able to offer you a Windows laptop from around $200. Asus E203 – It may be small, but this laptop costs just $200 and offers the full Windows experience. Acer Swift 1 – Slim and stylish as well as easy on the wallet. If you’re not concerned about gaming or having a cutting edge laptop, and just want something for browsing, streaming, and perhaps the odd bit of office work, then there are plenty of options that needn’t be too expensive. All brands offer laptops pitched at so called ‘casual users’, and while they tend to lack the stylish designs of the Ultrabooks and sacrifice some of the portability, you can bag yourself a great laptop that will serve you well day to day from around $350. When looking for the perfect laptop, try and grab one with at least an Intel Core i3 processor, or higher if your budget will stretch. You may also see some AMD models, in which case a Ryzen 5 would be an equivalent. You might be tempted to go for a cheaper Pentium or Celeron, but in the long run, a more powerful processor will be a better investment. When it comes to RAM, which helps the laptop juggle several processes smoothly, aim for 8GB. Anything less, and you could find that your laptop is a stuttering staller – especially if you’re the sort of person who likes to have multiple tabs open when browsing. Lastly, make sure you opt for a decent screen size. Smaller will be cheaper, but we’d recommend 13 inches and upwards for comfort. Also, keep in mind where you’ll be using the laptop – if it’s going to be a constant travel companion, don’t opt for a 17-inch behemoth. For home use though, you could be happy to have the screen real estate. If you want a gaming laptop, it’s time to get your wallet out. Thanks to hyper-realistic graphics being served up at eye-watering frame rates, gaming laptops need to be decked out with the latest specs, and that doesn’t come cheap. To start with, you’ll need a high-end processor. This means possibly an Intel Core i5 for entry-level models, but more likely an Intel Core i7 – or, if you’re really serious, an i9. However, while the processor is effectively the engine of a good laptop, it needs support – especially when creating those sophisticated graphics. This comes in the shape of a dedicated graphics card, which does all the heavy lifting when it comes to on-screen visuals. Most regular laptops have integrated graphics chips which can handle daily emailing, browsing, social media and light gaming, but aren’t up to running the latest games. You’ll need a dedicated graphics card for this. Then there’s RAM. Another vital component for ensuring that your system runs smoothly and can multitask without issue, it shouldn’t be skimped on. Most laptops today come with 8GB of RAM, but you’ll find that gaming laptops offer you more than this. Again, it’s not cheap. One last word on gaming laptops – they tend not to be designed with portability in mind. Most are highly stylized with angular designs, and you’d struggle to slip them into a small bag. They also typically have large screens, and some even have dedicated cooling docks. 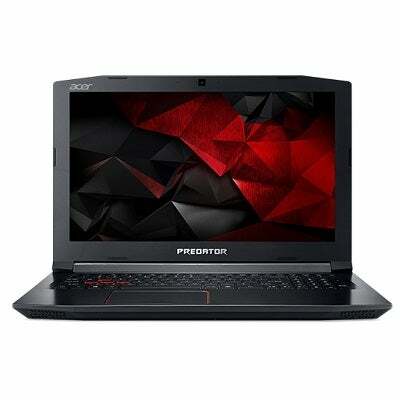 Similar to gaming laptops, laptops for designers focus on graphical prowess and the ability to handle complex visuals. They are able to run demanding graphic design software, as well as video and image editing without a hitch. As such, as with gaming laptops, you should be looking at models that host powerful processors and dedicated graphics cards. You should also consider touchscreen models, especially those that enable you to use a stylus to sketch your designs and work directly onto the screen. This can eliminate the need for a seperate drawing tablet. It’s important to check the connections on the laptop to ensure that it can accommodate all your peripherals. Seek out laptops with larger displays, and consider a model with 4K resolution to get the most crystal clear image possible. It’s also worth looking into hybrid devices, such as the Microsoft Surface Book, which allow the user to disconnect the display from the keyboard to act as a separate tablet. An Ultrabook is a laptop that marries design, portability and power. These are the premium laptops that you’ll find lovingly displayed front and center of the manufacturer’s website, because they look good and run fast. All big name manufacturers offer a Ultrabook of some kind. Asus has its Zenbooks, Dell has its XPS range, and Acer has the Swift series. In many ways, they are the Windows answer to Apple’s MacBook Pro, although nobody has really cracked that same iconic appeal. 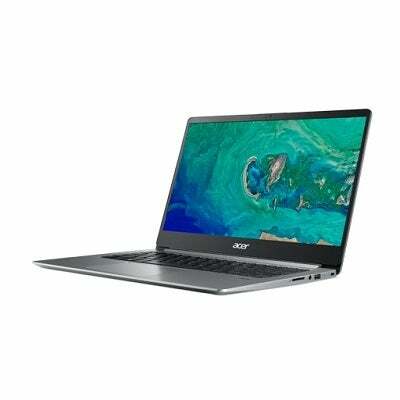 You’ll find that Ultrabooks are typically packed with high-end specifications, such as Intel Core i5 or i7 processors, plenty of RAM, and in some cases, dedicated graphics cards. They also tend to be the models which boast the latest features. 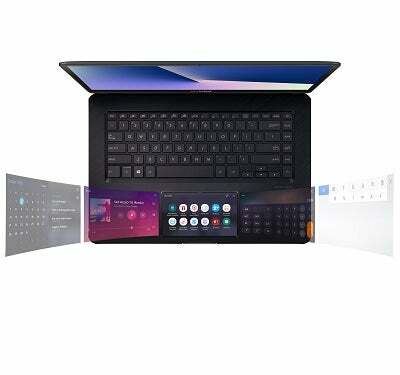 One such example is the Asus ZenBook, which in some models has replaced the touchpad with something the company calls the ‘ScreenPad’ – a separate touch display that can show context relevant information. These new designs usually trickle down to the rest of the range over time, but it’s the Ultrabook owners that get the first iteration. Huawei Matebook 13 – When is a MacBook not a MacBook? When it’s a Matebook. This Windows laptop wears its influences on its sleeve, but not on its price tag. As we’ve shown, the humble Windows laptop caters for a wide variety of needs. There’s really no reason not to buy a Windows laptop, unless you are used to working in the Apple ecosystem, in which case a MacBook might be a better option. Then there’s the Chromebooks, which are a fast and cheap alternative to the traditional laptop, but with several restraints. However, neither a Chromebook or a MacBook is as versatile as the Windows laptop, which can accommodate those with small as well as large budgets, users who want to simply browse the web, and those who want to play the latest games with face-melting graphics.